Set 600 metres from Buckingham Palace and 1 km from St James's Park, Mews House Victoria Apartment offers accommodation in London. The apartment is 1.2 km from Harrods. Free WiFi is provided throughout the property. 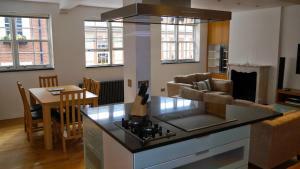 See all Mews House Victoria Apartment reviews..